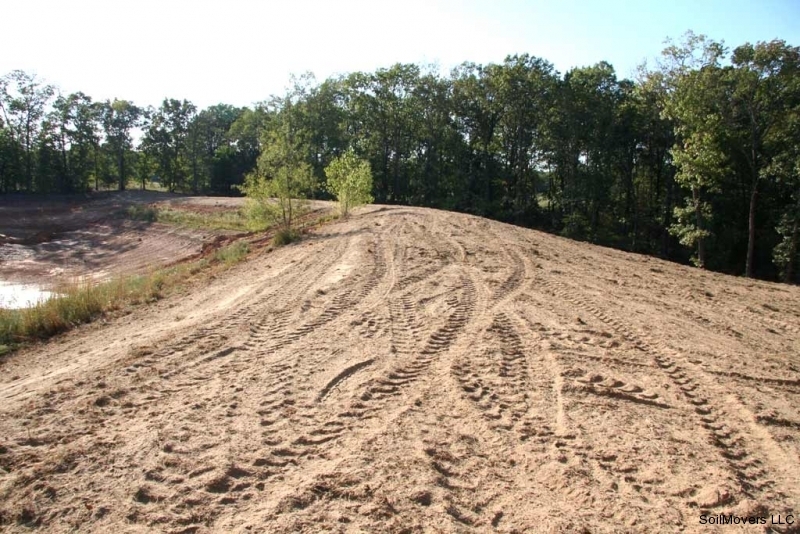 We were contacted by a landowner who recently purchased a parcel of rural land with a lake. The lake was built a few years ago and he was told it held water and would eventually clear up. Greed is an insidious thing. Sellers will tell you what you want to hear, take your money and walk away. Don’t expect them to come to the rescue when known problems are eventually revealed to the unsuspecting purchaser. The main point to remember when you are dealing with a local contractor who is marginal jack of all trades and expert at none; when the job is done and his last piece of equipment is loaded up and gone, you are on your own. 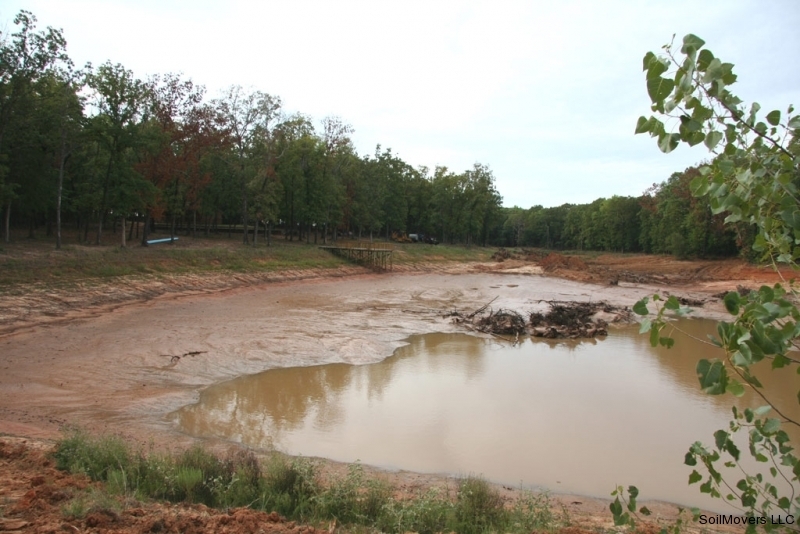 These local contractors are usually good people but they are not experts who have spent a decade doing premium, high-end lake building projects. Their bread and butter is clearing land for pastures, taking out old fence rows and digging utilitarian stock tanks. At the very least, get an onsite expert consultation directly related to your project after your local contractor has stopped by to give you a quote — and then compare notes from the two sources. A few hundred dollars spent getting solid expert guidance may be the best money spent on your dream project. When we arrived on the site, there were obvious problems. 1) The water was muddy and full of silt. The aquatic habitat would not support a healthy fish population. 2) There was grossly evident severe erosion on all the banks and water courses leading to and from the lake. 3) The slopes on front and back of dam were incredibly steep and far too dangerous to mow. 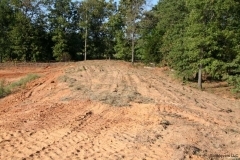 Less dirt moved = cheaper for the excavation contractor. A critical corner was cut. 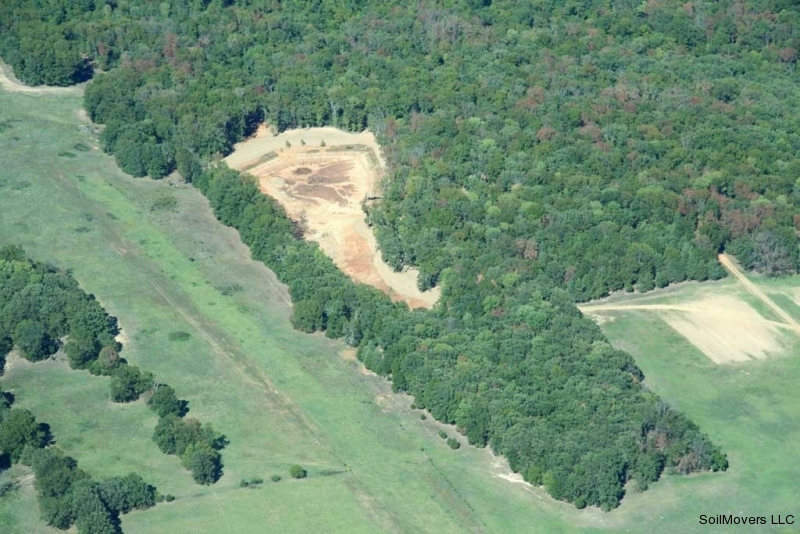 4) There was no topsoil on the banks or the area surrounding the lake where excavation had occurred. Multiple failed attempts to establish grass to control erosion and run off had been unsuccessful. The harsh reality was grass would NEVER grow in these areas – period. A critical corner was cut. 5) The lake was much too shallow in several areas. 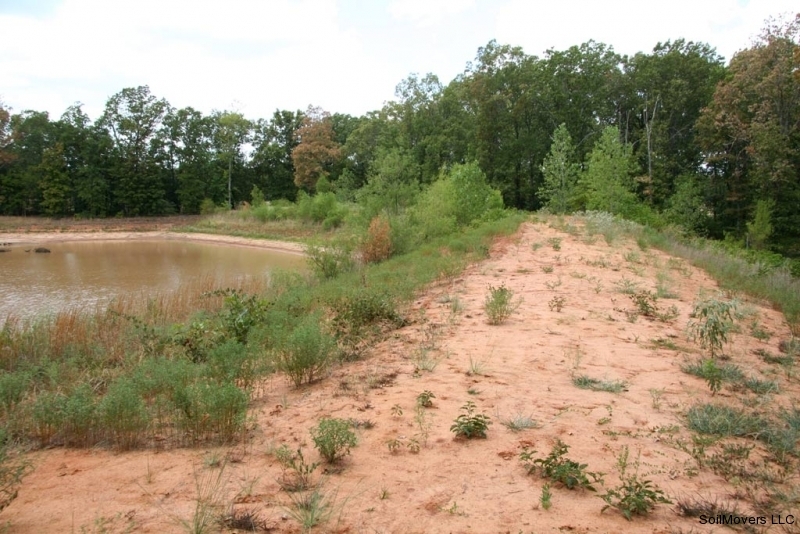 A shallow lake promotes growth of unsightly aquatic weeds which will choke a lake. A shallow lake dries up during the heat of a dry Texas summer and your view changes to an ugly mud flat. The original contractor did not “save” the top soil. 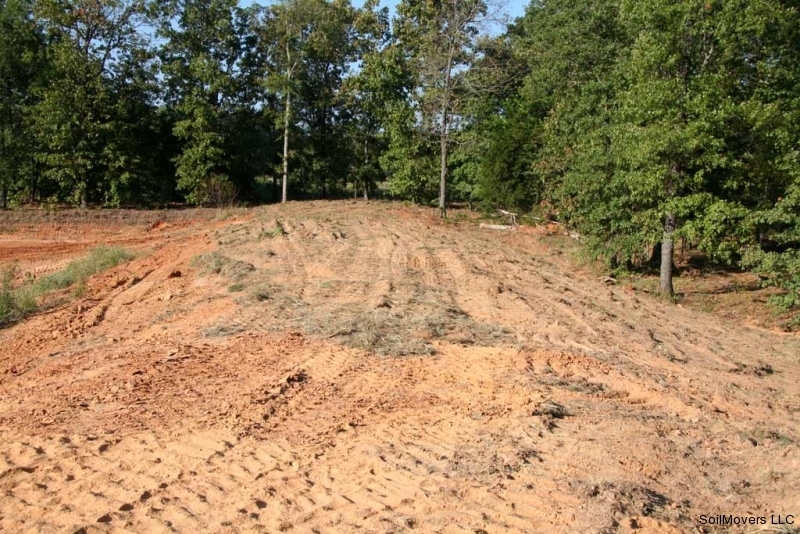 Separating the soils takes time and money and then covering the excavated areas with a proper layer of topsoil to promote healthy grass costs more money. Grass needs top soil to grow. Grass needs to be established to prevent erosion around the lake/pond. 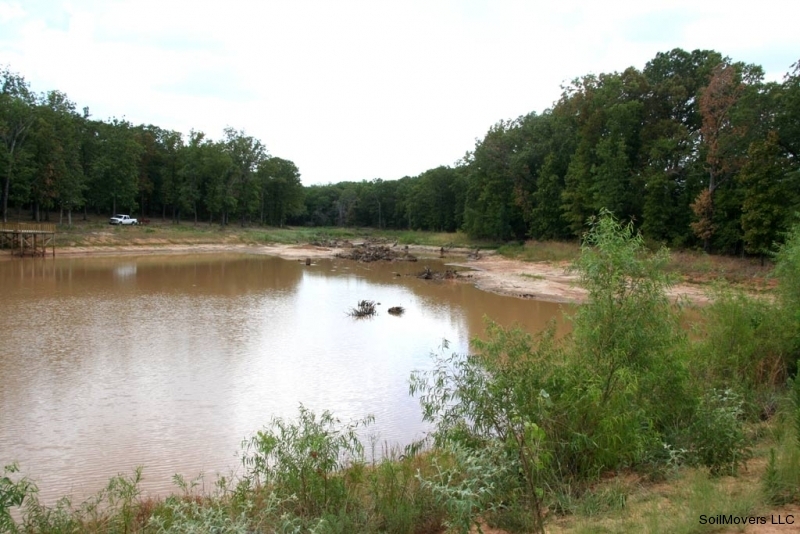 Grass will prevent eroding soils from washing into the lake, causing cloudy water. The area around your new lake must be maintenance friendly. 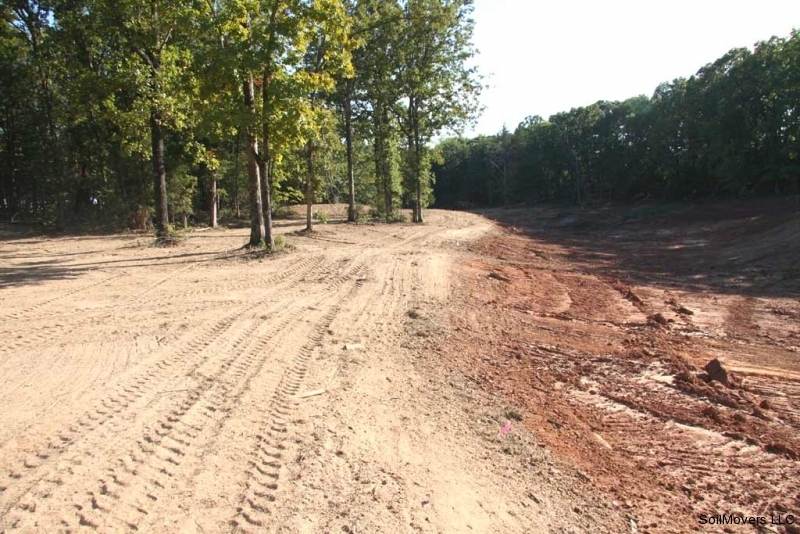 You should be able to walk, mow and drive your utility vehicle anywhere in the lake area. Update 7/2015: A BAD lake……. It is hard to believe this project was completed over 10 years ago. I have consulted on 100’s of lake building projects since then. 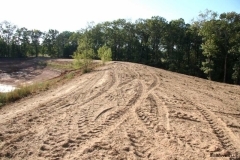 SoilMovers has also built its’ fair share of great lakes in the ensuing years and those past clients are quick to tell anyone who will listen what a great investment they made in capital improvements to their property. It saddens me when I am called out to consult or repair a failed project. In almost every case, additional expertise and experience in conjunction with a few extra dollars in overall construction costs could have prevented the failure to start with. I wish I had been there to help these folks before the first dozer blade was put in the ground. I could have told them “That will never work but this WILL!” There is no substitute for experience and integrity. It really is that simple. Sometimes the solution is as simple as moving the lake a few hundred yards one way or another; sometimes the solution is advising the client that bigger is not always better. Every time, the success of the project involves listening to the client and understanding the dream they have for their rural property. Then it is our goal to build those dreams. This could have been a GREAT view! 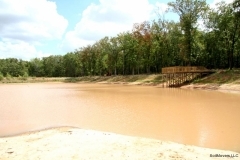 Take note of the muddy water, low lake levels and overgrown banks. Every effort was made to establish grass on the dam and lake shore. Without topsoil, all you are going to get is weeds and the weeds and brush will take over if you can't mow the area. This was a great location for a lake. Improper construction practices ruined the dream. There was no band-aid to fix this. The old lake is drained and the process starts over. It is always cheaper to do it right the first time! The dam is repaired and the proper slopes are established. 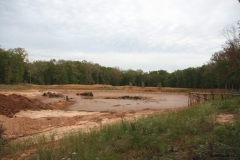 Topsoil is added to the dam. 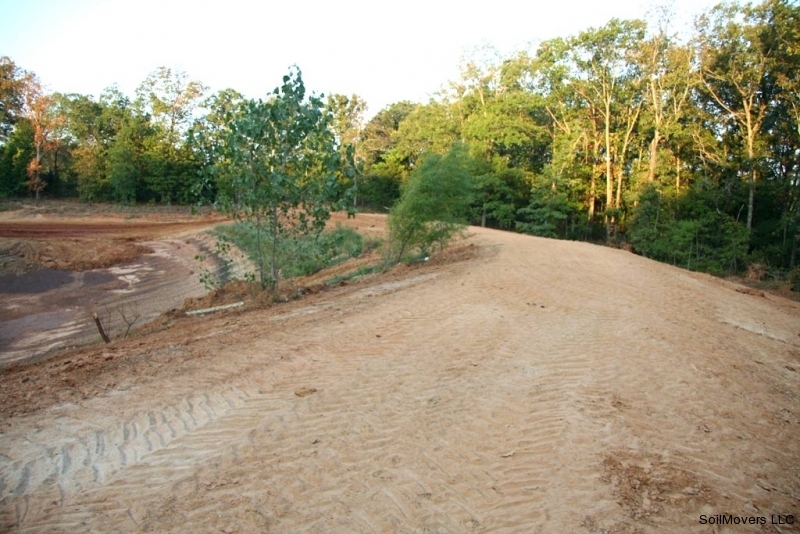 Without topsoil, there will always be erosion problems and your lake will always look unsightly. The banks are reshaped for a more aesthetic appearance. 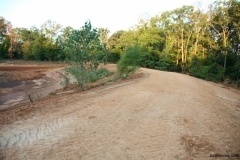 Topsoil is moved into place on the banks. The topsoil from the original excavation is long gone, mixed in with the dirt that was used to construct the dam. That resource was squandered. The new top soil donor area is the square area to the lower right of this aerial view.